Edmond, Oklahoma is on the list of CNN Money Magazine as one of the “Best Places To Live”. Not to mention Edmond is also one of the safest places in the country. It is situated in the heart of Oklahoma, just north of Oklahoma City. The city of Edmond gives residents a quick access to many major highways, including Interstate 40, Interstate 35 and Interstate 44. 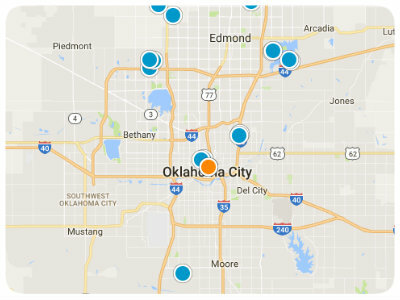 Accessible roads coupled with low traffic create an average commute time of 20 minutes which is why it is a premier choice for many families who work in Oklahoma City. Edmond makes travel of any kind a favorable option for residents because of its nearby airports, free bus service, a vast trail system, and sidewalks along every city street of the city. It is also known for fabulous schools and fantastically low property taxes. 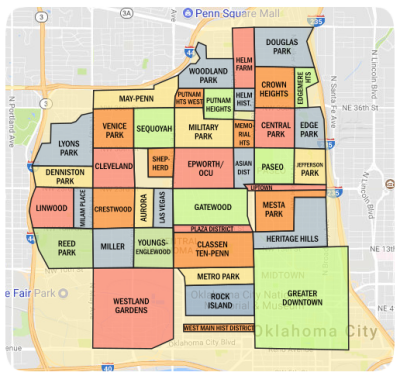 With roughly 35 apartment complexes and more than 250 neighborhoods, Edmond offers many single and multi-family choices for those who are looking for a new house. Bella Terra is an absolutely stunning neighborhood located on Waterloo Road just east of I-35 in Edmond Oklahoma. There are several elegant and magnificent houses to choose from and the people who value the beauty of nature will definitely enjoy Bella Terra. It is an outstanding and elegant neighborhood featuring 1 acre lots, a lavish waterfall & polished common areas & front entrances. Note that if you live here, you will be a resident of a very desirable and beautiful neighborhood. The gorgeous custom built homes at Bella Terra have beautifully landscaped front yards that are meticulously cared for, open floor plans, built-ins throughout the houses, a gourmet, eat-in kitchen, spacious bedrooms with bathroom access and wide windows for a view of the picturesque scenery outside of your home will surely win everyone’s heart. If you want to live in luxury and style, Bella Terra is for you. You will have access to the luxuries Bella Terra has to offer. The community offers access to pool, clubhouse, child friendly playground, basketball court and a soccer field. If you love physical activities like soccer, skating and tennis Edmond has got it all for you. The city takes pride with their extraordinary competitive quality soccer fields, competitive ice skating facilities, and tennis court facilities with a strong history of hosting USTA satellite tournaments that feature players from around the world. The city of Edmond is home to the state's fourth largest school district, Edmond Public Schools from a population of 4000 student they now serve more than 23,000 students. The district is also the state's most honored public school district, with 10 nationally recognized Blue Ribbon Schools. It also offers multiple private schools, higher education system and other childcare options. Bella Terra at Edmond Oklahoma is an absolutely stunning neighborhood and definitely must see.